With over 6000 lakes and ponds, and thousands of miles of stream habitat, the task of preventing the spread of invasive aquatic species in Maine waters is one of the greatest environmental challenges of our time. Invasive plants and animals are moved about in complex and often unseen ways. The speed at which a new introduction can explode into an ecologically and economically disastrous infestation is well documented. Once an invader is well established, eradication is extremely difficult and costly, if not impossible. 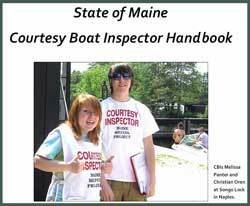 The Maine Department of Environmental Protection (DEP) oversees Maine’s Courtesy Boat Inspection (CBI) program and distributes funding to organizations trying to protect lakes. While DEP provides training, protocol, and funding, none of this prevention work can be done without the hard work of local residents. Every year Maine CBIs conduct thousands of boat inspections and intercept hundreds of plants entering and leaving Maine waters. Click here for the most recent CBI statistics. Also see In a Nutshell: How to be a great CBI. 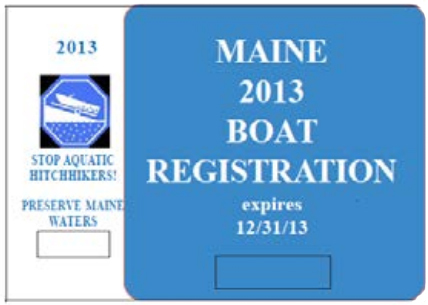 Training for the Courtesy Boat Inspection program is funded through the Maine Lake and River Protection Sticker program, and is coordinated by Lakes Environmental Association in partnership with the Maine Lakes Society and the Lake Stewards of Maine (LSM). CBI training is now available through the Lake Stewards of Maine! As of 2014, a CBI workshop option is available to communities who are hosting an Invasive Plant Patrol (IPP) Field Workshop. Trainees at these combined workshops will have the option of attending one portion of the workshop or both. Please see the IPP workshop schedule to find IPP/CBI combined workshops in your area. Many aquatic nuisance species (ANS), such as the zebra mussel and Eurasian water-milfoil, can be unintentionally transported from one waterbody to another on the floats of seaplanes. Therefore, it is important to clean the aircraft to remove ANS before traveling, rather than after landing at new locations. In addition, it is important for you to incorporate the procedures listed here into the operation of your seaplane. However, plane safety is the first priority when considering and following these guidelines. Please click here for US Coast Guard Guidelines for Seaplanes. Local efforts to prevent the spread of invasive aquatic plants continue to pay off. 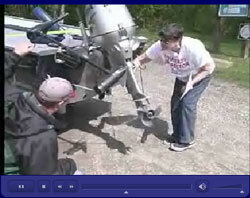 Courtesy Boat Inspectors prevent 3 potential invaders from entering Maine lakes in 2004.